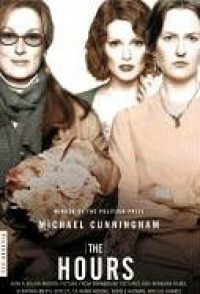 Passionate, profound, and deeply moving, The Hours is the story of three women: Clarissa Vaughan, who one New York morning goes about planning a party in honor of a beloved friend; Laura Brown, who in a 1950s Los Angeles suburb slowly begins to feel the constraints of a perfect family and home; and Virginia Woolf, recuperating with her husband in a London suburb, and beginning to write Mrs. Dalloway. By the end of the novel, the stories have intertwined, and finally come together in an act of subtle and haunting grace, demonstrating Michael Cunningham's deep empathy for his characters as well as the extraordinary resonance of his prose (back cover blurb). I seriously considered including a picture with me and Miss O together, but I'm not ready to post her picture on here just yet, since she's only a few months old. So, sorry, we're left with just me - if you want to see my husband, take a peek at my profile picture, though it's admittedly a bit dated (taken around 2013). I took this one a few weeks ago on my way home from my first trip to the library with O! One of the local libraries has a Babies & Books program, where little ones under the age of 2 can sing nursery rhymes, read board books, and interact with other babies. O was quite a bit younger than most of the other babies, but she still had a great time, as did I! 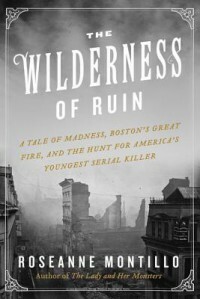 In late nineteenth-century Boston, home to Herman Melville and Oliver Wendell Holmes, a serial killer preying on children is running loose in the city--a wilderness of ruin caused by the Great Fire of 1872--in this literary historical crime thriller reminiscent of The Devil in the White City. In the early 1870s, local children begin disappearing from the working-class neighborhoods of Boston. Several return home bloody and bruised after being tortured, while others never come back. With the city on edge, authorities believe the abductions are the handiwork of a psychopath, until they discover that their killer--fourteen-year-old Jesse Pomeroy--is barely older than his victims. The criminal investigation that follows sparks a debate among the world's most revered medical minds, and will have a decades-long impact on the judicial system and medical consciousness. The Wilderness of Ruin is a riveting tale of gruesome murder and depravity. At its heart is a great American city divided by class--a chasm that widens in the aftermath of the Great Fire of 1872. Roseanne Montillo brings Gilded Age Boston to glorious life--from the genteel cobblestone streets of Beacon Hill to the squalid, overcrowded tenements of Southie. Here, too, is the writer Herman Melville. Enthralled by the child killer's case, he enlists physician Oliver Wendell Holmes to help him understand how it might relate to his own mental instability. Next up... Wilderness of Ruin! A few days ago, I asked the Booklikes community to select my next book out of a few books that I was contemplating reading. The one you chose for me (unanimously!) was The Wilderness of Ruin, so I'm starting that now! Isaac Asimov changed our perception of robots forever when he formulated the classicl laws governing their behavior. In I, Robot Asimov chronicles the development of the robot from its primitive origins in the present to its ultimate perfection in the not-so-distant future - a future in which humanity itself may be rendered obsolete. Here are stories of robots gone mad, mind-reading robots, robots with a sense of humor, robot politicians, and robots who secretly run the world, all told with the dramatic blend of science fact and science fiction that has become Asimov's trademark. In 1871, young children were disappearing from Boston's working-class neighborhoods. The few who returned told desperate tales of being taken to the woods and tortured by a boy not much older than themselves. The police were skeptical - these children were from poor families, so their testimony was easily discounted. And after the Great Boston Fire of 1872 reduced much of downtown to rubble, the city had more pressing concerns. Finally, when the police apprehended Jesse Pomeroy for the crimes, he, like any twelve-year-old, was sent off to reform school. Little thought was given to the danger he might pose to society, despite victims' chilling reports of this affectless Boy Torturer. Sixteen months later, Jesse was released in the care of his mother, and within months a ten-year-old girl and a four-year-old boy went missing, their mutilated bodies later discovered by the police. This set off a frantic hunt for Pomeroy, who was now proclaimed America's youngest serial killer. When he was captured and brought to trial, his case transfixed the nation, and two public figures - Herman Melville and Oliver Wendell Holmes - each probed the depths of Pomeroy's character in a search for the meaning behind his madness. Roseanne Montillo, author of the acclaimed The Lady and Her Monsters, takes us inside those harrowing years, as a city reeling from great disaster reckoned with the moral quandaries posed by Pomeroy's spree. What makes a person good or evil? How do we develop as moral beings? At what age do we hold someone responsible for violating society's moral code? And what does our fascination with such ghastly deeds reveal about us? The Wilderness of Ruin is a dazzling combination of true-crime thrills, a fresh perspective on mental illness, and a fascinating look at American class turmoil that captures the spirit of a turbulent age. MAYCOMB, ALABAMA. Twenty-six-year-old Jean Louise Finch - "Scout" - returns home from New York City to visit her aging father, Atticus. Set against the backdrop of the civil rights tensions and political turmoil that were transforming the South, Jean Louise's homecoming turns bittersweet when she learns disturbing truths about her close-knit family, the town, and the people dearest to her. Memories from her childhood flood back, and her values and assumptions are thrown into doubt. Featuring many of the iconic characters from To Kill a Mockingbird, Go Set a Watchman perfectly captures a young woman, and a world, in painful yet necessary transition out of the illusions of the past - a journey that can only be guided by one's own conscience. Well, those are my options! Looking forward to seeing what everyone thinks. I've got quite a variety to choose from and I think each of these will be good for different reasons. I'll start whichever has the most votes on Friday! Cross-posted on both Booklikes and Tumblr. Because I'm *such* a good student, I decided to put off writing my last paper of grad school (aka LAST PAPER EVER!!!) 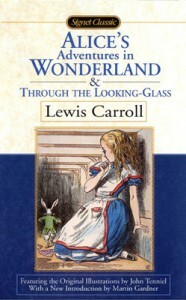 by re-reading Alice's Adventures in Wonderland. I know I've read this before, but I don't remember when, and I also remember that I wasn't very fond of it. I felt that it was just way too bizarre and honestly I think I just didn't get the humor in it. This time around, I'm loving it. To make myself feel less guilty about reading this when I really should be getting schoolwork done, I read it aloud to the baby while I'm nursing her. Way to multitask, right?! ... well, now I guess I should get this paper written. After all, the sooner I write it, the sooner this will all be over! Wish me luck! 5 stars - I hardly ever give 5 stars, so if you're an author and you've received 5 stars from me, you should REALLY be proud of yourself, haha! Basically, I only give 5 stars to books that I consider to be a favorite of mine, so in order to receive five stars, a book must have the same effect on me as books such as Gone with the Wind and the Harry Potter series did - not an easy feat. 4.5 stars - I give 4.5 stars to books that I loved, but don't consider to be my all-time favorite. I would definitely re-read these books and I would probably recommend them to most people, but they aren't quite on "favorite" level, at least for me. 4 stars - I give 4 stars to books that I really liked. 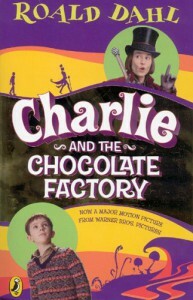 I would probably re-read these books. They maintain my attention while reading them and I would recommend them to fans of their genre. In order to receive 4 stars from me, books must be well-written. 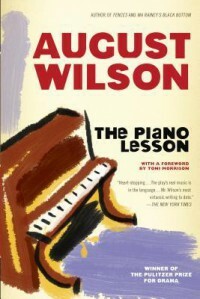 3.5 stars - I give 3.5 stars to books that I liked, but probably would not re-read, at least for a while. These books may be part of a genre that I liked but perhaps did not reach my expectations, or they're not really my taste but are still well-written enough to get a good rating (I consider anything above 3 stars to be a good rating). I would probably recommend these books to people, but with reservations. 3 stars - I give 3 stars to books that are OK. Books that receive 3 stars probably have a good premise that was not executed as well as I would have liked it to be, or, again, they were well-written but not really my taste. I probably would not re-read these books and I recommend them with reservations. 2.5 stars - these are books that are OK, but not to my taste. I probably did not enjoy reading these books but recognize that they have redeeming qualities. My reviews of these books will probably be mostly negative, but may point out some good factors or areas that, if improved, could increase the book's rating (this specifically refers to ARCs that may not be in their final state). 2 stars - If I give a book two stars, I disliked it. It either was poorly written or not to my taste. If the book is not to my taste, I will specify that in the review and emphasize that other readers may have better luck than I did. 1.5 stars - I strongly dislike these books. They may contain material that I found to be offensive or are very poorly written. In my opinion, there are very few redeeming qualities and I would not recommend these books to anyone, unless I know for a fact that they read a very similar book and enjoyed it. 1 star - If I gave a book only 1 star, then it's safe to say that I hated it. More likely than not, I simply didn't like the storyline at ALL, or the book is just terribly written. An example of a book that I gave 1 star to was The Lord of the Flies - in that case, I do recognize that it's a classic, but I absolutely despised the story and thus could not in good conscience give it a good rating. As with 5 star reviews, 1 star reviews are extremely rare from me and I only give them to books that I found to be truly torturous to read. As you can see, my ratings system is mainly based on my opinion/experience with the book at hand, rather than based on how I feel the target audience will react to the book. I feel that I can only speak with any real authority about how I feel about a book, not how others may or may not feel. Well, I have reached the last week of my summer semester of grad school. All that stands between me and graduation is telling a story for my Storytelling course and writing a paper for my History of Children's Literature course! I'm almost done - my freetime is (mostly) back, which means that once my assignments are done, I can read again and actually have time to blog on here! Woohoo! My summer has been fantastic, so far. On June 1, my husband Dan and I became the parents of a beautiful little girl, Olivia May! She's basically the best baby ever - already sleeping through the night on a fairly regular basis, and because she's so content during the day I've been able to get my schoolwork done on time! I love being a mom and I can't wait until school's done and I'm able to completely devote my attention to taking care of her. I've actually found a few mom-and-baby groups in my area and I plan to join them when school's done. As for Dan, he's still working on his CPA. He took the third of four parts of the exam yesterday. We should find out how he did in about two weeks. He's not totally optimistic because he had a lot of distractions from studying this time around (I mean, we did just have a baby), but hopefully he passed, and then he'll be one step closer to being certified! I remember reading all of the Little House books as a kid - as well as watching the TV series - and adoring them. I seriously wanted to be Laura Ingalls - I even had a bonnet that I used to wear everywhere, complete with braids in my hair. For my internship, I host an intergenerational book club for elementary aged girls and their favorite adults (worked out to be a mother-daughter group, but I loosely defined the role of the adult in an effort to include every family situation), and the girls decided that they wanted to read Little House in the Big Woods for our meeting in May. I was really excited about the opportunity to revisit one of my childhood favorites. To be completely honest, this just didn't live up to my memories. I actually found it to be quite dull. Wilder describes her childhood, but she does so without much storytelling style at all. Her tone is preachy at times, which is something that I had forgotten. I think that this book is very representative of the mindset held by authors of children's literature at the time when this was published. It's still a sweet book, but if I'm being honest, it just doesn't hold up to so many other children's books that are out there. I appreciate the historical value of this text... but I also think there are other books that are more likely to ignite a passion for learning about history. The Little House series still holds a special place in my heart. I still look forward to the day when I'll read these books with my own daughter -- but I'm far more excited to introduce her to the TV series, which manages to entertain while still delivering a wholesome message. I'm also more excited to read books like Beezus and Ramona and Charlie and the Chocolate Factory to her - books that, again, have a wholesome message but are still fun to read. It makes me sad that my experience reading this book this time around wasn't what I'd remembered, but I guess that's just how things work out sometimes. Are there any books that you read and loved as a child, but were disappointed by as an adult? One late autumn evening in a Texas town, two strangers walk into an ice cream shop shortly before closing time. They bind up the three teenage girls who are working the counter, set fire to the shop, and disappear. See How Small tells the stories of the survivors--family, witnesses, and suspects--who must endure in the wake of atrocity. Justice remains elusive in their world, human connection tenuous.